Former Bowling Green Hot Rods pitcher Blake Snell is scheduled to make his major-league debut for the Tampa Bay Rays on Saturday. Snell, considered the Rays’ top prospect, will start against the New York Yankees at Yankee Stadium. Whether he stays in the Rays rotation afterward remains to be seen, but even a cameo appearance at the big-league level still would give Tampa Bay fans a taste of what surely will be just the first of many MLB starts for the highly-touted left-hander. Snell made 31 starts for the 2013-14 Hot Rods, going 7-11 with a 3.55 ERA, 148 strikeouts and 92 walks in 139.1 innings. His breakthrough season came in 2015, when he went 15-4 with a 1.41 ERA, 163 strikeouts and 53 walks in 134 innings (25 games/23 starts) spread over three levels (including nine starts at Triple-A). In three Triple-A starts this season, he is 1-1 with a 2.51 ERA, 21 strikeouts and seven walks in 14.1 innings. 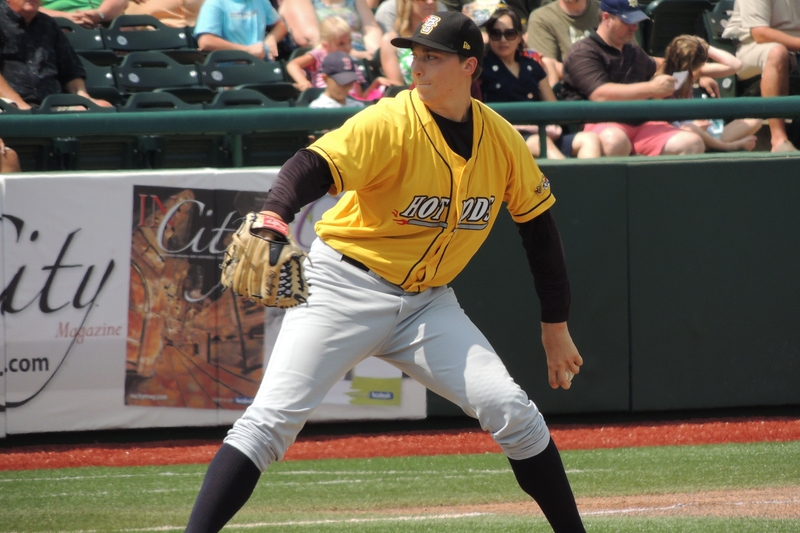 Side note: I saw Snell pitch for the Hot Rods in South Bend in 2o13. The Silver Hawks pitcher who started against him was RHP Aaron Blair, who threw seven no-hit innings for the Atlanta Braves’ Triple-A affiliate on Tuesday. You can read my post about the 2013 game here. Blair made his Midwest League debut in that game. This entry was posted in Bowling Green Hot Rods, Midwest League, South Bend Silver Hawks. Bookmark the permalink.